Lisa ordered these cupcakes for Penny’s birthday present. 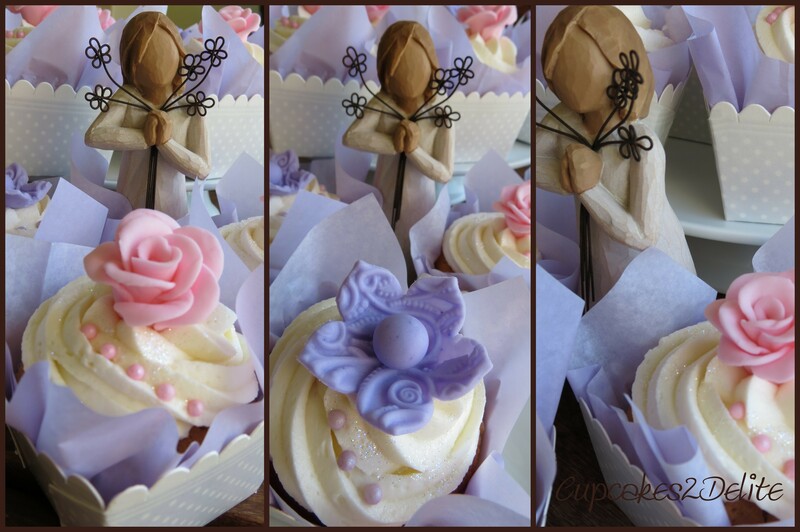 She chose pink roses and lavender flowers for this gift box of cupcakes. The dainty pink roses and embossed lavender flowers with their generous rounded centres look almost ethereal in the square lavender cupcake holders and tissue paper that Lisa found for these cupcakes. 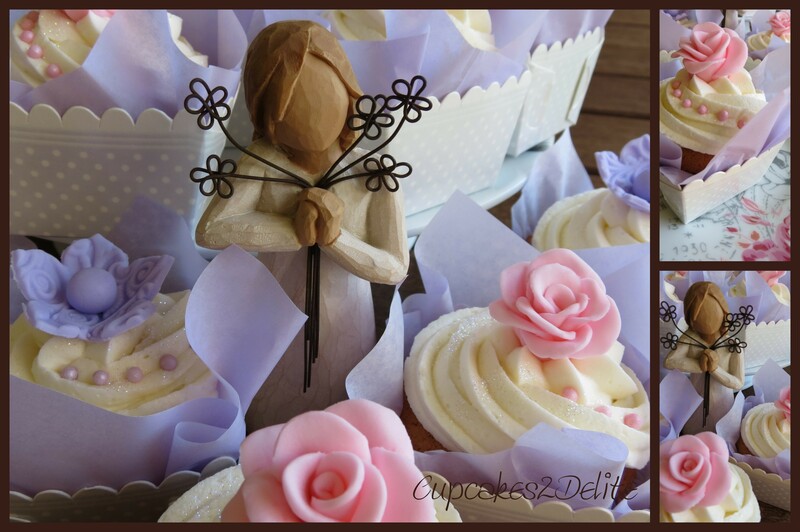 As this was a gift given with such care and consideration I couldn’t resist photographing the cupcakes with the gorgeous friendship angel given to me by my friend Michelle. Wishing you a wonderful birthday Penny. These are so serene and beautiful. Your photos are showing off your divine cupcakes so beautifully. If you decide to give up cupcake making you could be a food photographer!! Thanks Wendy but then would I manage to photograph the food before eating it? that would definately be a problem for me too …..